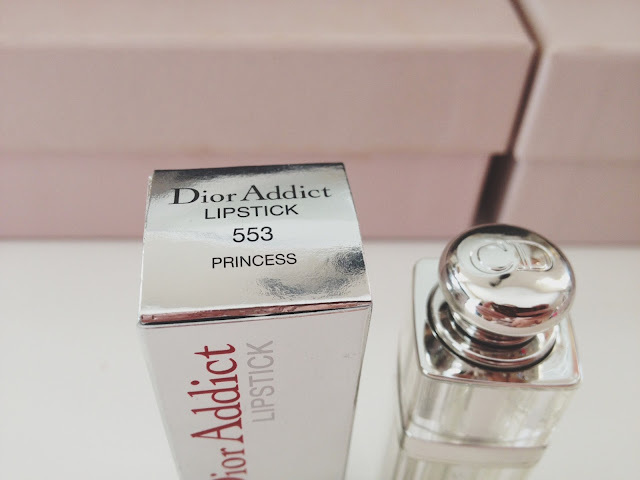 Dior Addict Lipstick in "Princess". 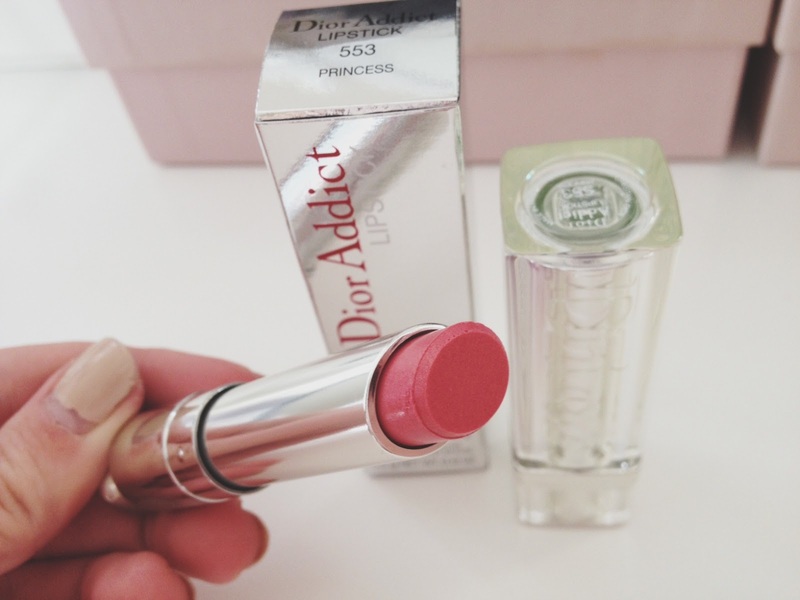 The CD Addict lipstick is one of my absolute favourites - I bought one about three years ago and have not looked back since. These lipsticks are so soft and moisturising, the colour is pigmented and long-wearing, jeez I just really have nothing bad to say about them! 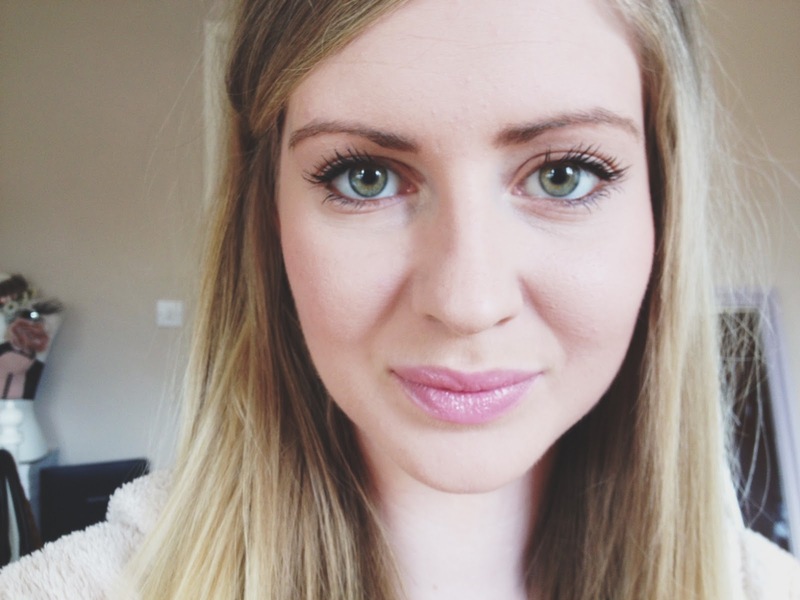 Although they are quite pricey at £24, they are a classic makeup buy and will last you ages. I lost my last lipstick, a situation I'm still really confused about seeing as I kept it in my lipstick drawer until one day I decided to reach for it and it wasn't there.. Unless I have a ghost or my ex was a cross dresser (which he strongly denies), I really don't know what happened to it! So, I absolutely had to get it replaced and came to find this adorable colour named "Princess"! It's a pale, shiny pink and I love wearing it with heavy eye makeup if on a night out, or with simple peachy cheeks and a layer of mascara for natural chic! 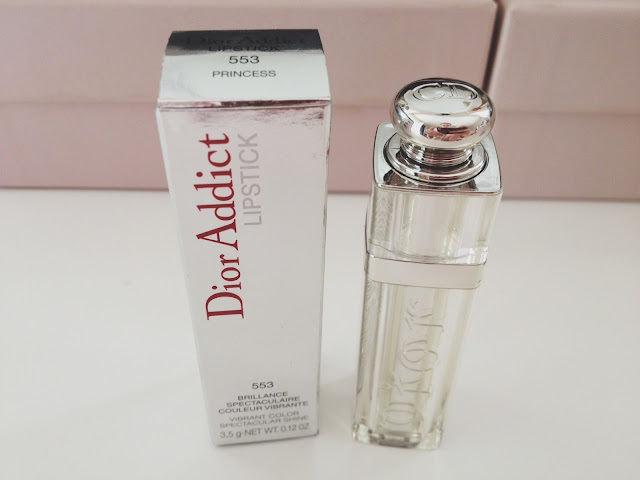 I love how iconic this lipstick is, I was having lunch with a guy the other day and pulled this out of my bag to hear him go "Oh, that's Dior Addict?" So no matter who or what you are, you clearly love this and want it and it's just great. I'm going to stop blabbering on about it now because I think you got the message: it's awesome, riiiight! This would make a really pretty bridal colour!